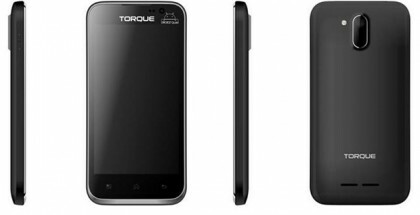 Home Price specs Torque Mobile Torque Droidz Quad Specs, Price, Availability Updated! Torque Droidz Quad Specs, Price, Availability Updated! Torque mobile has just announced it quad core phone, by the name itself they call it Torque DROIDZ Quad, most specs are likely the same as Cherry Mobile Quadcores, but not as expensive as them. Moreover Torque mobile will also release Torque DROIDZ Motion, and they have only teased this one to be released as well. While for Torque DROIDZ Quad, Torque mobile already unveils its price which is Php5,999 SRP. Now released and for sale nationwide. More specification below. Torque Droidz Quad is priced at Php5,999 (official suggested retail price) |Available now on Torque mobile stores nationwide. Torque DROIDZ Quad is the second most cheapest quad core for local brands, next to Arc Mobile 450QD. What can you say about Droidz Quad? If you happen to have this smartphone, kindly share your experience with us. Thanks! I saw last June 2 in Torque brochure but up to now it is not yet released.